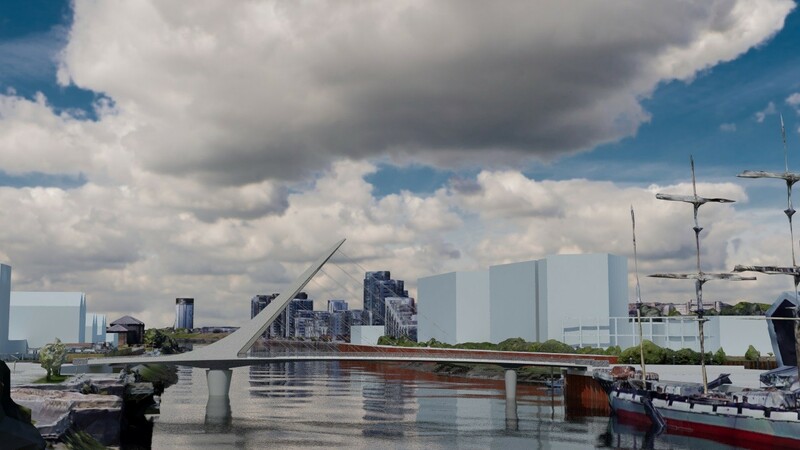 Glasgow City Council has published concept visualisations of a proposed cable-stayed swing bridge connecting the communities of Partick and Govan, complete with a 63m long openable main span to allow the passage of vessels. 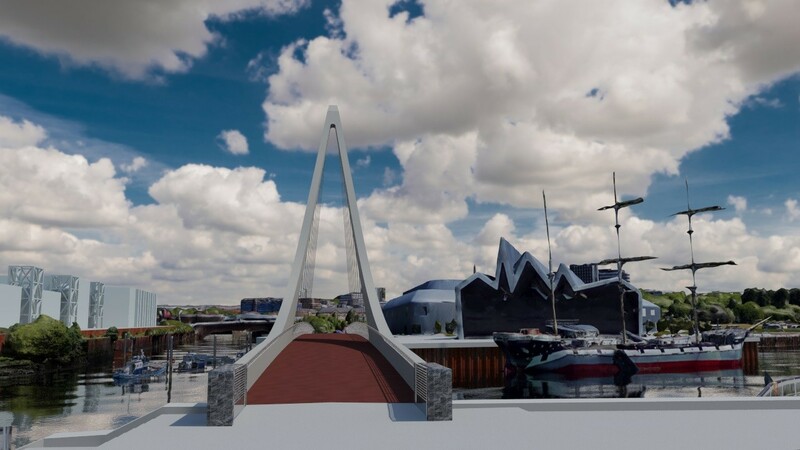 Part of the Waterfront and West End Innovation Quarter the project will create an active travel route between the Queen Elizabeth University hospital and the University of Glasgow with new homes and businesses encouraged along the route. Ground investigation work has already been completed at the site ahead of development of a finalised design over the coming six months, prior to a formal planning application next summer. 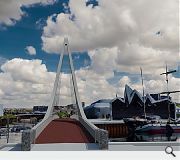 In a statement the council wrote: “The Bridge will span from Water Row in Govan on the south bank to an extended quay wall on the north bank of the river adjacent to the Riverside Museum - a crossing of approximately 110 metres. 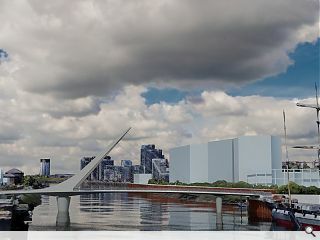 Construction tenders will be issued by the end of the year with work expected to begin by spring 2020 for completion by summer 2021. Should the bridge be named the Yorkhill to Govan bridge. From my limited knowledge of Glasgow's areas the Clyde riverside to the west of the river Kelvin is Thornwood. Partick is to the north of Thornwood and does not have a Clydeside. East of the river Kelvin is Yorkhill and Kelvingrove (now more commonly referred to as Finnieston) and Anderston. Oh yes, Dublin (among some other cities). This is a blatent rip of the Samuel Beckett Bridge in Dublin. It doesn't look as though much thought has gone into the structural design basics. But it looks nice and that's what counts....right?